After the launch of Facebook Watch, Zuckerberg’s social network introduces another new feature. 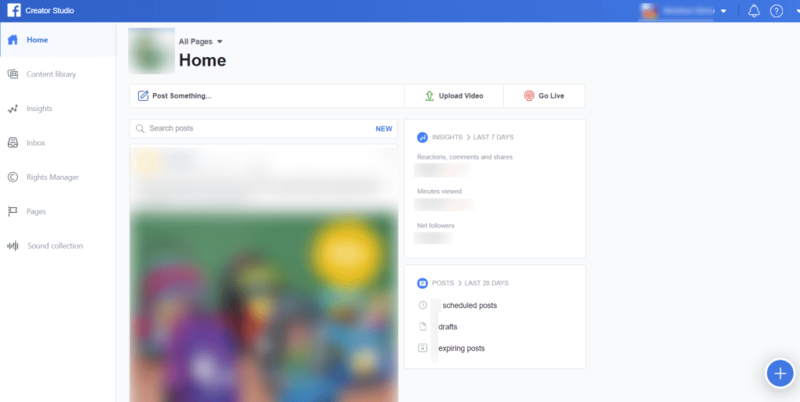 This time it is a tool called Creator Studio, a platform for managing company pages that allows community managers to administer, in the same space, the content to be published, the insights of the page, the messages in the inbox, among others. In addition, it is a platform focused on video content as it offers you tools such as playlists, sound collections and the ability to monetize content by inserting and managing ads in the company’s videos that are published on Facebook. To access Creator Studio you just have to click on publishing tools from the corporate page and, in the left menu and just below the tools, you will find a link to Creator Studio. Besides, Creator Studio allows you to download all the data from the last 500 posts in Excel format and analyze positive feedback (likes, shares, comments) and negative feedback (hide, hide all, unlike, report), reactions and even filter it by type of post (text, link, photo, video). Currently, this tool is only available on computers. For this type of content management in mobile version, you should use the Facebook Creator app. And finally, we have to see if Creator Studio will mean a frontal attack on post programming tools and if Facebook will end up restricting its API. Are you interested in our content? If you want to know more about us and our social listening and monitoring activity, click here.